Description: This is a nice looking bracelet. The elastic bands create a raindrop pattern. The raindrops also look like hearts, so this is a good bracelet for valentine's day as well. 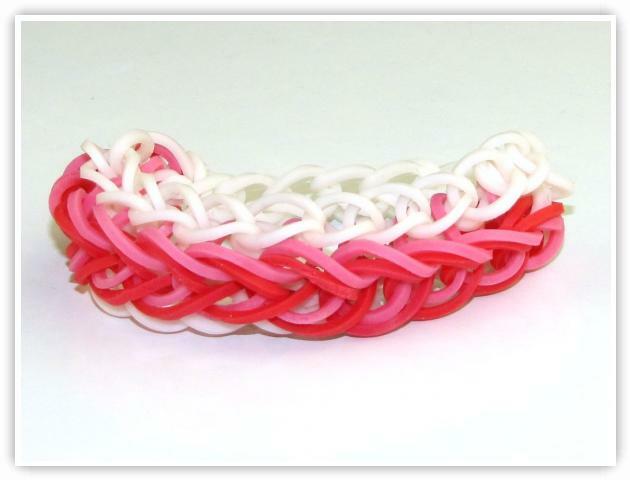 This bracelet has 2 drops on each link, so use your creativity by changing the color sequences to make bracelets unique. 6) Place last 2 White elastics in a "/\"